As the old saying goes, the two things you can always count on in life are death and taxes. The first one is probably (hopefully!) a long way off. However, the latter has probably snuck up on you all too quickly. First-time filers often get intimidated by tax time because there are so many different forms. The penalties for filing an inaccurate return can be pretty steep. Well, not to worry if this is all new to you — we are going to help make this go as smoothly as possible. As a rookie, you’re not going to have much to complete in the way of paperwork. The best part is you’re likely getting a refund anyway. But it probably won’t be this simple every year for the rest of your life, particularly when you start bringing in a serious income. That’s when it can get pretty complex. Additionally, let us say you own a home, earn income on investments or other streams of revenue throughout the year. You could be facing all kinds of forms and schedules to reflect all of those components of your financial situation. We are getting just a little bit ahead of ourselves with all of that stuff. For now, let’s get down to basics. It will give you a better understanding of the fundamental facets of filling out your tax return. Remember, you want to complete all of the information that is asked of you with honesty and truthfulness. Perhaps you are submitting an incorrect form that does not precisely list all of your income for the year. Maybe you’re taking a credit or deduction that you weren’t eligible to claim. You could be facing penalties later on — and that means more money out of your pocket. There’s nothing worse than thinking you have a refund coming when, in reality, you owe money to Uncle Sam. This beginner’s guide to filing your taxes aims to help you avoid all of that confusion. Thus, you may see all of the money that you are due from a year of withholding. If you do owe something come Tax Time, we also hope to assist you in keeping that tax bill as low as it can be. When it is time to start filling out your tax return form, all of the information you will need to get the job done can be found on your W-2, otherwise known as a Wage and Tax Statement. This piece of paper is completed by your employer. It is done so that you may report all of the money you made for the year at that particular job. Most taxpayers will receive only one W-2 for the year. Others may receive more than one based on how many jobs they currently have which pay them a routine wage. Your W-2 contains important data that reflects how much money you earned at that job. It also includes how much money was withheld from your collective paychecks over the course of the year. Additionally, it embodies other important insurance requirements that employees need to have. This is needed to keep in compliance with recent healthcare mandates under the Affordable Care Act. The decision to send you a W-2 is made based upon how much money you earned with a particular employer during the year. It has nothing to do with how long you have been working at that job. It doesn’t reflect the position or occupation you hold for your issuing employer. It comes down to dollars earned for the tax reporting year. There is a specific threshold for issuing a W-2 which currently stands at $600. 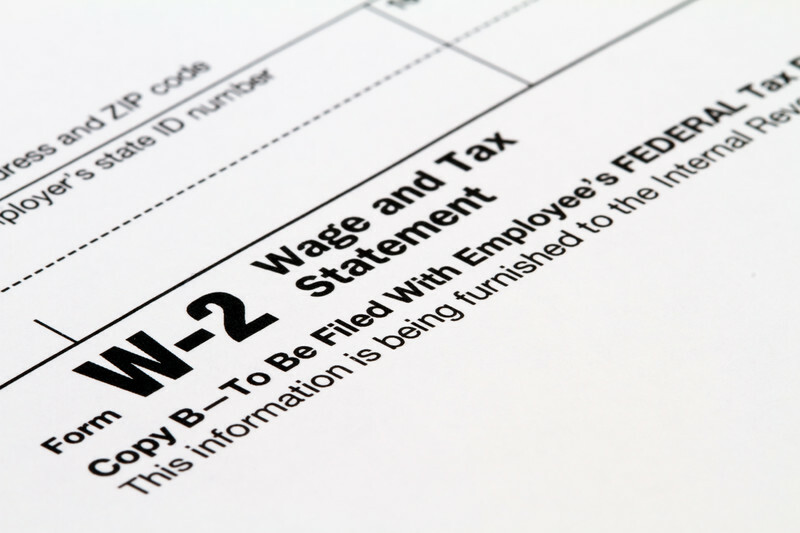 Any employee who was paid that amount or higher (in cash or goods) should expect to receive a W-2 form in the mail. If your employer withheld any money for taxes, Medicare, Social Security, and so on, then the W-2 will automatically be sent to you as well. Think of the W-2 as an earnings report every year. It tells you how much you made and how much was put towards certain taxable obligations. It provides other valuable data that may or may not be applicable to your tax return. Six copies of your W-2 are printed out and sent to various different agencies and destinations. The first copy goes to the Social Security Administration. It has to be there by no later than February 28th. The second copy is sent to local tax agencies in the state where you live. The third is kept by your employer for their records. The remaining three copies are then all sent to you. 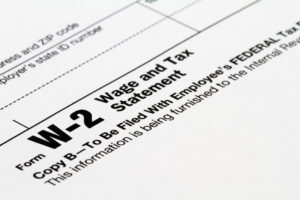 The cut-off date for W-2’s to be mailed out to their recipients is no later than January 31st. But what are you going to do with three copies of this form? Much like with the previous three copies, these remaining three are intended to be sent to specific parties and destinations. One of them is to be submitted with your federal tax return (or your tax preparer). If you decide to e-file this year, it’s only necessary to enter the information that is requested from the copy. The second copy is submitted with your state return in which your local tax authorities are given a copy for their files. The third and final copy goes into your records. Though, you may end up with two copies should you decide to e-file your return. Take a good long look at your W-2. Throughout the form, there are boxes with all kinds of numbers and letters containing various important information and numbers. It may look a bit confusing. Let us take it box by box to help you fully understand what you’re reading. Therefore, you know what needs to be included on your tax return before you submit it to the IRS. This box contains your Social Security Number (SSN) that was issued to you at a young age. It will be a sensitive piece of data that you own until the day you die. Your SSN is necessary for anything involving your credit. You should protect it from anyone who may be trying to steal it. Prior to filling out your tax return, you must confirm that the Social Security Number listed on your W-2 is completely accurate. Otherwise, you could run into problems when it’s time to send you your refund. This box holds your employer’s Employee Identification Number (EIN). It’s your company’s version of a Social Security number. It must be listed on the W-2. If not, your employer must issue a new one with the number shown this time. This box contains your employer’s legal business address. It is the location where your boss conducts daily business. Don’t be alarmed if the address on the W-2 is not the one where you show up to work each day. They may very well be two different locations entirely, and that’s okay. You may find this box is left blank on your W-2 or it may contain your employer’s control number. This is an internal number that refers to your employer or your employer’s payroll department or payroll company. Not every employer relies on the control numbers to fill out their W-2 forms. It is fine if yours is left blank as it has nothing to do with you. The two boxes together form one large area on your W-2 where your personal information is located. That includes your name and address. The former is printed exactly as it reads on your Social Security card. The latter is supposed to be your current address. It can be a post office box if you prefer, as long as it’s your accurate mailing information. Since this form is typically sent through the post office, accuracy matters. Should either of these be printed incorrectly on the form, ask your employer for a new form and update your information. A deduction is exactly what it sounds like. It is an opportunity to reduce the amount of money upon which you are taxed by the government. 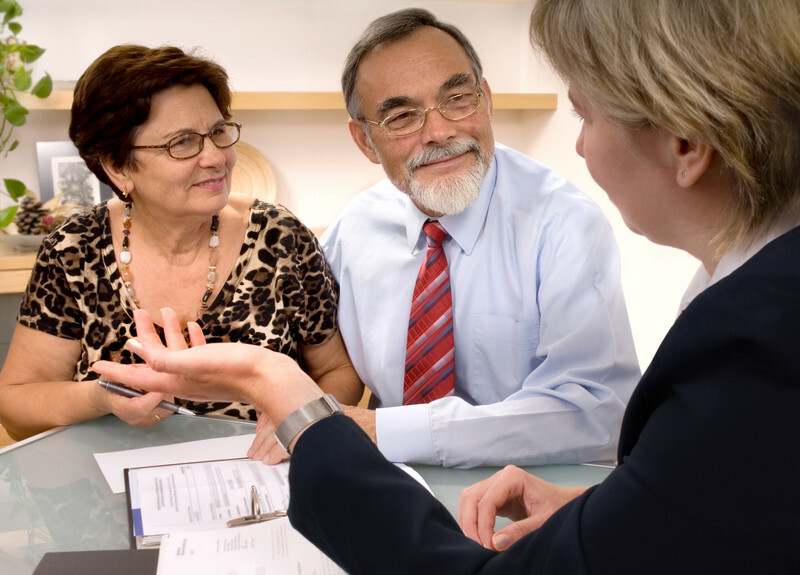 These can be very helpful to lower your tax burden and drop you down to a lower tax bracket. Credits are also a big help as that actually save you money on your tax bill through any number of methods and reasons. Credits are harder to come by than deductions. That’s because a credit can eliminate costs from your tax debt. Consequently, a deduction helps you to owe less through a variety of ways. However, you may still owe a sizable chunk of change after you’ve taken all your eligible deductions. In this section, we’re going to examine all of the common deductions and credits and how they work for you. Your W-2 may reflect a gross pay that is higher than the amount of wages that need to be reported on your tax return. That’s okay. The reason is because some amounts included in the gross pay amount are not subject to taxation at this time. They could be from contributions to a 401(k). Also, the money you paid for health insurance premiums or deposits into a health savings account, among other potential sums. You may also be eligible to take additional deductions which are considered “above the line”. Those amounts are labeled as such because they can lower your taxable income before you reach line 37 on your Form 1040. It declares your adjusted gross income. There is a wide range of possible deductions that you may be able to claim based upon your financial situation. These include contributions to some type of retirement savings plan, paying off student loans, or plan on getting married in the near future. For example, you may be able to claim as much as $2,500 in deductions on student loan interest payments from your gross income. However, that’s only if you qualify. Taxpayers who are self-employed can also benefit from deductions. They can do this through retirement savings plan contributions that might reduce their gross income “above the line”. It all depends on your particular situation and which deductions apply. Once you have established your adjusted gross income, you have a couple of choices to help lower your taxable income even more. It could be up to $6,300 for some taxpayers. That is the standard deduction for any individual filing as a single person. It is Uncle Sam’s way of giving you a break should your choose not to go through the itemizing process. Also, if your itemized deductions add up to less than what is allowed under the standard deduction. Yet, if itemized deductions exceed more than 10% of your adjusted gross income, you can include a detailed account of all your eligible deductions. Choosing to itemize instead of taking the standard deduction will be a little more time-consuming. You need to know what they include. Most of these deductions are typically comprised of state and local non-business related income taxes, charitable donations, mortgage interest expenses, property taxes, and applicable medical expenses. Remember, this is only if they exceed 10% of your adjusted gross income. If you are a homeowner, there should be no problem reaching that itemization threshold. Giving money to your favorite charities that can also help get you past the threshold. The younger you are, however, the less likely you will be to take a long list of itemized deductions. That is because you may not own a home yet or have large sums of money to be giving away to charity each year. Maximizing your charitable contributions is a good way to get a break on your tax debt. Sounds great, right? Unfortunately, most first-time filers or even younger filers in their 20’s aren’t usually eligible to take most credits. There are a few out there qualified to include on your return. Those are mainly centered on education. There’s the American Opportunity Credit. It can reduce your taxes by $2,500. However, in order to qualify, you have a litany of requirements that must be met. All of your qualified education expenses must be paid up. Additionally, you have to be attending school at least part-time, working on getting a Bachelor’s Degree, and earn an income under $80,000 as a single filer. Maybe you are a student who has completed four years of college. Perhaps you haven’t enrolled in enough courses in which to be eligible. You could benefit from the Lifetime Learning Credit worth up to $2,000 off your tax liability. There are eligibility requirements that must be met for this one as well. You can’t make more than $52,000. With a credit that can be worth “up to” $2,000, it’s important to understand that this credit only gives you a break on 20% of your qualified tax expenses. That means you would need to pay $10,000 taxable income to get the full $2,000. Another credit you may be eligible to claim is a “savers credit”. That can also yield you up to $2,000 off your tax bills. You must be making under $30,500 a year and be putting away money for retirement. Again, the “up to” portion is important here. That is because the amount you can claim in this case depends upon how much you’ve put away in a qualified retirement savings fund. Now that you have your federal return all wrapped up and complete, it is time to do the state return. That’s right, you need to fill out two returns. That is unless you live in Florida or one of the other six states in the union that doesn’t have a state income tax. This return is due on or about the same time as the federal return. You should double check for the state in which you live to find out when it’s due. 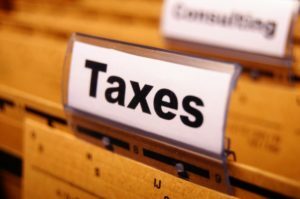 You may need to comply with special state rules that could differ from the federal tax laws. Let’s say you moved from one state to another and earned an income in both during the tax year. You are required to file partial returns in each state. Simply fill in what you earned in each state for any subsequent return. Check for any deductions in which you are eligible. You may even include moving expenses. That is the case if you moved to relocate for a job. It must be located 50 miles further away from your previous residence than your old job. Maybe you work for the same employer but moved anyway. Be sure to inform your boss about the change of address particularly if you moved from one state to another. That helps your employer or their payroll department to withhold the proper amount of state taxes as necessary. Sometimes it pays to get a little help along the way as you fill out your tax forms. There are two ways to get that help. They are in the form of tax preparation software or a tax professional who can work with you to get your taxes filed properly. If you’re a first-time filer you can even qualify for free software assistance through the Free File Alliance. This group of thirteen tax software companies started offering preparation and filing services free of charge to taxpayers who were making low incomes. Most of the companies have similar eligibility criteria. Though, those taxpayers with an annual adjusted gross income of $62,000 or less pretty much make the cut automatically. Finding which software is best for your particular tax situation will require you to answer some questions. These include your eligibility for the Earned Income Tax Credit as well as your age, adjusted gross income, and the area of the country in which you reside. This software can help get you as many deductions as you are legally able to claim through commonly used tax loopholes. Of the 13 tax software companies that you may choose from, some also offer state tax return assistance free of charge. Additionally, some are willing to do it for a fee of around $25-$35. Keep in mind that “free” assistance may also not mean free. That is because some of the tax companies come with little bait and switches. You may need to sign up and use software that comes with a high fee in order to get a fully complete return ready to be sent to the IRS. Therefore, if you are anticipating a refund, you may want to set aside $75-$100 to pay for the use of “free” software in order to receive your refund. If you decide to hire a tax professional, be sure you vet them carefully. Make certain they have the necessary licensing and haven’t had any disciplinary actions. Check for their Preparer Tax Identification Number (PTIN). That number is mandatory for any individual offering tax preparation services in exchange for monetary compensation. Make sure you understand their fee structure as well. If anyone asks you to sign a blank return or suggests payment as a percentage of your refund, you should find another tax professional. Some of the best advice for first-time filers is not to procrastinate. The sooner you fill out, sign, and send in your return, the faster you can receive your refund. If you’re not getting one and you owe instead, it also behooves you to get it out of the way now. Maybe you owe more than you are able to pay in one lump sum. In that case, you can set up a payment plan with the IRS in which you send them installments each month. However, taking forever to pay off what you owe could accrue interest. Even more important, if you miss a payment your arrangement could be canceled. You will then have to pay it all off in one lump sum. So get your taxes done ASAP!